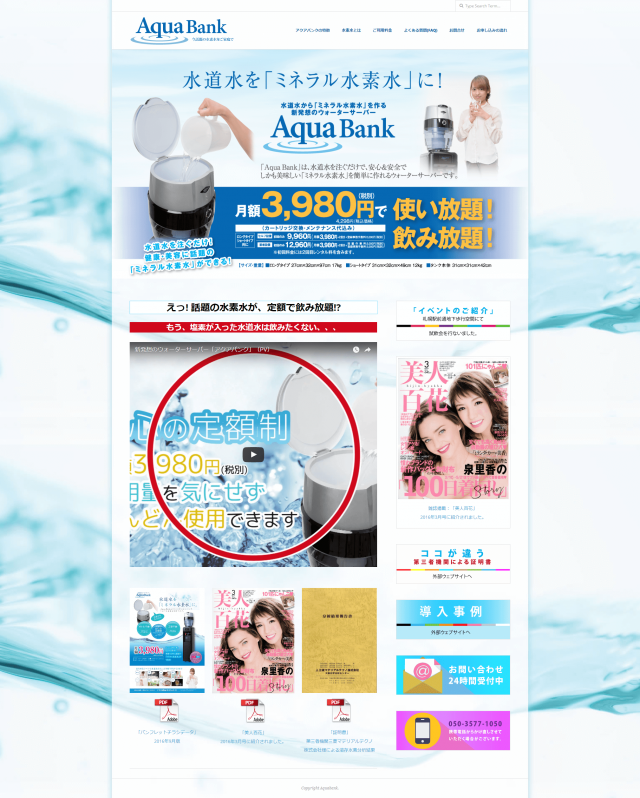 We created the Aqua Bank website. The design of this site uses a large background image of water for a refreshing and clean look. Lots of blue was used throughout the GUI (graphic user interface). Aqua Bank supplies homes and offices with mineral water coolers. Softbank established the company and was the client on this project.